The lessons learned helped Amazon's hardware get where it is today. Amazon devices have taken root in our homes with almost alarming speed, but the tech giant hasn't gotten everything right. 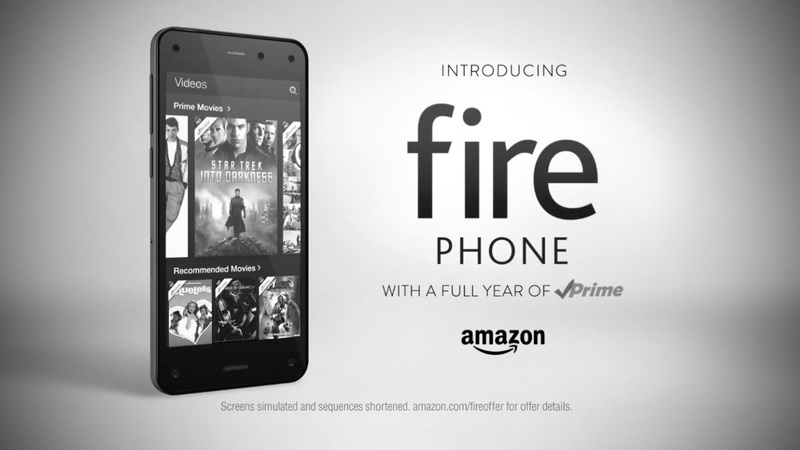 Back in 2014, Amazon released the Fire Phone, an ambitious smartphone that remains the company's biggest hardware flop to date. The comapany has never confirmed how many Fire Phones it sold, but considering that Amazon took a $170 million write-down in October of that year, it's fair to say the device bombed. While the Fire Phone was a punch line and a commercial failure, it did lead to good things -- eventually. In a conversation with Engadget at CES, Sandeep Gupta, Amazon's VP of Smart TV & Home, suggested that the teams and processes built to make the Fire Phone a reality also made possible the impressive hardware ecosystem we now see. "Building the phone was sort of a trial by fire," Gupta said, before groaning at his pun. "It was a very intense product, and we learned so much. And the teams we built from the Fire Phone have helped seed a lot of the other teams. You'll see people on the Echo team, the TV team, the tablet team who got their start on the phone team." If Amazon's teams learned a lot, it's because they needed to achieve a lot. The Fire Phone wasn't Amazon's first hardware project; a handful of Kindles came before, not to mention a few Fire tablets and Fire TV set-top boxes. But the Phone presented fresh technical challenges for Amazon to grapple with. "The phone is, without a doubt, one of the hardest-working hardware products you can build," Gupta said. "They're very compact. You've got antennas, you've got an ecosystem, you've got an app store, you've got content services, you've got the whole kit and caboodle." It didn't help that the Fire Phone was designed to be more complex than rival smartphones from the get-go. Four front-facing sensors tried to track the motion of users' heads, so some of the images that appeared onscreen would move with them. And since the Fire Phone was intended to be a kind of concierge for Amazon's massive online store, we got Firefly: a feature that allowed people to scan everyday objects around them for identification and eventual purchase. That's one hell of an undertaking, but Amazon powered through despite a relative lack of experience. Along the way, Gupta says, Amazon was forced to figure out the intricacies of small-scale hardware design, not to mention more efficient ways to work with chipset vendors and manufacturers. Amazon also had countless other questions to answer: How do you define your product? What are the milestones in development to work toward? While the answers to those questions weren't complete, they were enough to prepare Amazon to do better in the future. "The engineering excellence was there," Gupta said. "That's what continued to flow through the organization and allowed us to get to where we are." If Amazon had learned those lessons sooner, the Fire Phone might not have turned out the way it did. Still, even though it languished on store shelves, the Fire Phone itself wasn't a bad device. The hardware was expensive but functional. The software was overly ambitious, but it was impressive when it worked. Amazon (perhaps wisely) decided not to use its refined understanding of the development process to build another phone, but Gupta is adamant that the company's "trial by fire" made subsequent devices like the Echos and the improved Fire TVs better. "We took those learnings and now we've been able to apply them to a lot of the other products we're building," Gupta said. "And sometimes you learn what to do by learning what not to do."